- Our fabric raised garden beds are the quickest and easiest way to start enjoying a productive garden. - Perfect Solution for limited garden space, poor garden soil. - Start growing your favorite vegetables or flowers just about anywhere right away with the grow bag. - Grow on patios, terraces, driveways, under large trees, even city rooftops. - Just unfold, fill with the perfect organic soil or potting soil mix, and plant! 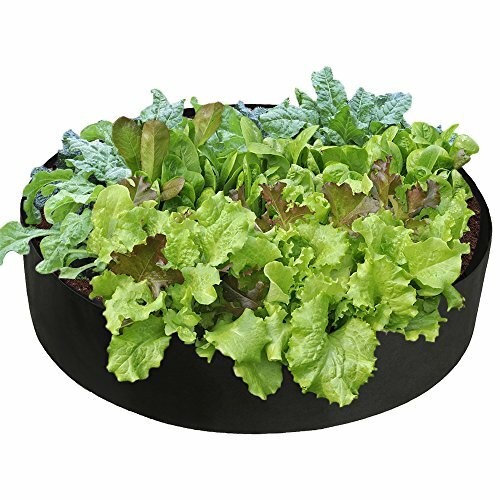 ★Space-saving Gardening - Dia 36'' x 12'' round shape, perfect for plants, flowers and fresh herbs, vegetables, fruits etc.